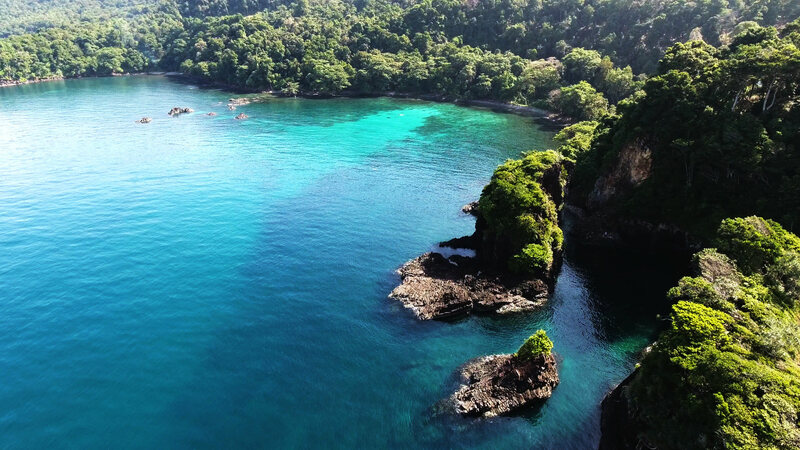 Aceh may not be too highlighted or known in the world of diving, but don’t get it wrong – its natural beauty no need to be doubted, especially if you get to know Sabang or in other name: Pulau Weh. It has 5 sub islands, which are the Pulau Weh itself, Klah, Seulako, Rubiah, and Pulau Rondo. The unique fact is these islands are the only ones in Indonesia that produce Geothermal energy. There are a lot of outstanding dive spots in Pulau Weh that can be your bucket list, such as Batee Tokong, Sophie Rickmers Wreck, The Canyon, Shark Plateau, and many more. All the total 20 dive spots are almost 100% still natural without human intervention, with various marine biota not less than 100 types. Planning to try a different diving experience there? Here we will explain the itinerary for a vacation in Aceh! How to get to Pulau Weh? Luckily, the access to Sabang is not that hard like most of the islands in Indonesia, it has several choices of transportations with affordable prices. You can take a flight to Sultan Iskandar Muda International airport in Aceh, the range of the ticket price is Rp 600.000,00 if it is not during the holiday season. The other option is going to Kuala Namu International Airport in Medan by plane, then you can take a bus to Banda Aceh with bus for 12 hours and it only cost Rp 200.000,00. After that, you should go to Ulee Lheue port with 4 access choices: taxi, damri bus, rickshaw motorcycle, and labi labi (typical vehicle from Aceh). From Ulee Lheue port, there are 2 alternatives to Pulau Weh, with slow or fast ferry. The slow ferry can take time for 2 hours with price Rp 25.000,00 while the fast ferry costs Rp 85.000,00 for only 45 minutes of journey. As the first dive center in Pulau Weh, their experience in the world of diving is plenty. The dive center has found all the beautiful dive spots in Pulau Weh, and they offer diving course, daily dive, also dive trip. Located in Boih Beach, you can contact 082360002100 for further information and reservation. Famous with the professional and friendly staffs, they combine a new experience of diving with high quality diving equipment, cylinders and Bauer compressor. The dive center also has PADI dive courses, and knows very well all of the dive spots in Pulau Weh. For reservation, you can whatsapp +6282161046111 or email iboihdivecentre@gmail.com. What is so interesting about this dive spot? Apparently, the divers attracted to the steep sloop because they consider it as a challenge for them. In Batee Tokong it is commonly seen the 3 types of sharks, which are black tip sharks, white tip sharks, and silver tip sharks. Besides sharks, there are scorpion fish, lion fish, and even giant octopus too in this place. You could say that this is the underwater version of The Grand Canyon in Arizona, North America. The spot offers canyon channels with its width of 5 meters and the maximum depth is 60 meters. Moreover, you can meet the giant napoleon fish as the attractiveness of The Canyon. The other interesting fish here to see: barracuda and manta ray. The place has a history which you must know, about a The German-made cargo ship in 1920 that as stranded beneath it, and now has become a reef. Because it is the closest dive spot to the land, the view from the surface is no less beautiful. The Sophie Rickmerss Wreck is recommended for the expert divers as the depth can reach 55 meters. These are the best accommodations! The resort offers a breathtaking view as the bungalows face directly to the island by prioritizing guest privacy. Because it has direct access to the beach, you can absolutely dive and snorkeling with free equipment from the resort. They also have other activities such as jungle trekking, monkey tours, and visit the volcano vents. If you’re planning to stay here, it costs around Rp 250.000 and you can call to +6281262979009 to book your room. Located in the edge of the forest with steep sunken cliffs that separate it from the sea, Iboih Inn has that beautiful clear sea water view. You really can feel the atmosphere of the beach because the bungalows are located on the seafront. Because of that, it is practical to dive or snorkeling just in front of the bungalows. The room rate starts from Rp 470.000,00 and it is better if you book via email iboih.inn@gmail.com. Why Itinerary is a Must? You can prepare your budget for the trip. Itinerary helps you predict how much expenses and cost it will be. Helps you prioritize in determining destinations you want to visit. You won’t missed destinations you want to visit the most if you have an itinerary. Besides destinations, it will maximize your time in searching for transportations and accommodations. So, your time will be more efficient and effective.